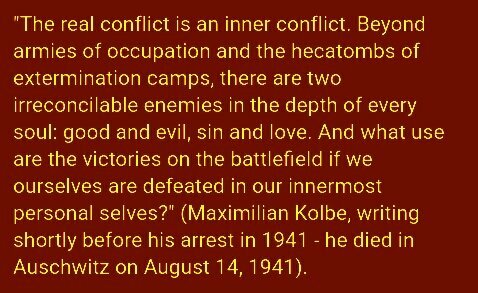 Kolbe knew that the only way to resolve the conflicts of society and the conflict within ourselves is the way of love. This way is possible because God loves us first, and empowers us by His grace to love Him and be transformed in His likeness. Thus we love God our Father who makes us, through Jesus Christ who died for us and rose from the dead, in the Holy Spirit who descended upon the Virgin Mary and who continues to enter intimately into our lives in union with her maternal love, her all-holy, all-beautiful, all-pure woman's heart that loves each and every human person with inconceivable tenderness. In this way God's goodness shapes us as children of adoption; the tenderness of Mary shapes our way of seeing and our response to every person. 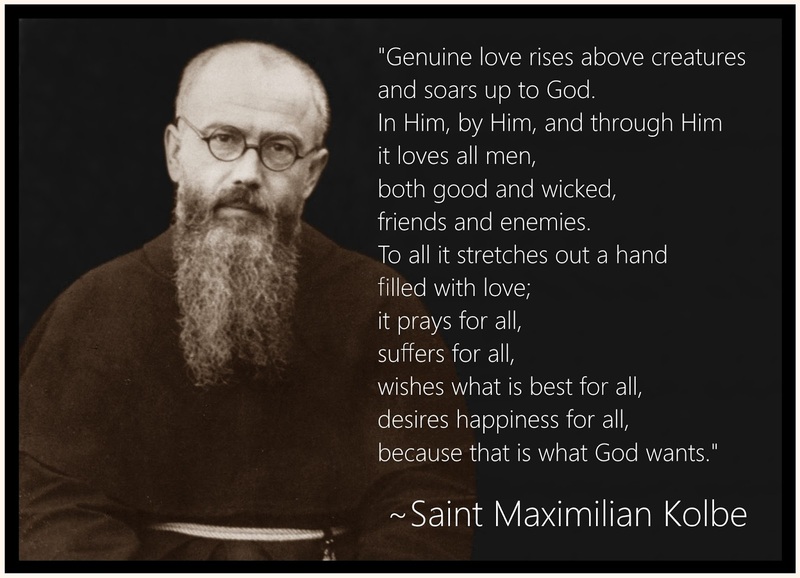 Maximilian Kolbe's own life and death show us how tremendous the response of love can be.